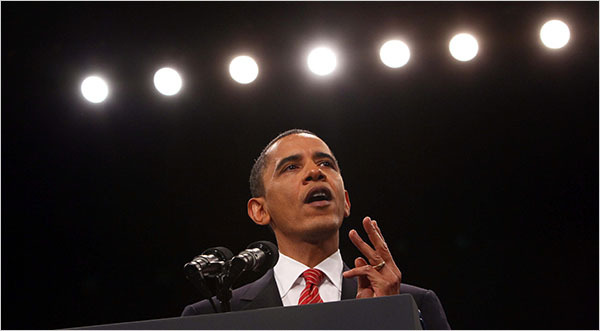 WTF #1: What is up with the U.S.’s unhealthy obsession with President Obama’s religion?! I just don’t understand. Remember when he had to distance himself from his former pastor, Reverend Jeremiah Wright once upon a time? Let’s break it down. Pastor = Christian. Obama went to Pastor’s sermons. Obama = Christian. How is this hard to comprehend? Why do nearly one-in-five Americans believe that the President is a Muslim? And, more importantly, why does it matter?! Mr. Obama openly bragged about his “Muslim background” and that his family had “followers of Islam.” He spoke of his youth in Indonesia, his study of the Koran and the call to Islamic prayer. In short, he discovered his inner Muslim in an attempt to ingratiate himself with the Arab street. See everyone! Underneath Obama’s makeup, he is a Muslim in disguise! He even has a tatoo on his cheek to prove it! Alert the media! We have a Hajji in our midst! WTF#4: The U.S. media’s concentration on Obama’s religion and Park 51 (aka, the “Ground Zero Mosque”) means there’s been relatively little coverage of an enormous humanitarian disaster – the floods in Pakistan. And we wonder why many Americans aren’t that aware of the devastation of this disaster, which is ongoing. Also, when the Western media does cover the floods, it’s often done through a negative lens, and the human loss and impact of this disaster gets lost in the process. Can we please, for the love of God, recognize the millions suffering without bringing Zardari’s spending habits into the equation or the Islamist issue? Cover the disaster in a way that does justice to the families who have lost their homes and their livelihoods, to the many who don’t give a damn about politics or “strategic interests.” They care about surviving and they care about the day-to-day. Remember that. WTF#5: Dear Pakistani government, your response to the disaster in Pakistan has been atrocious. As a Pakistani citizen, one who is peddling like mad to drum up funds to send back home, I am disgusted with your political pot shots, your disinterest in your own people, and your lip service to something unfolding in front of your eyes. Everyone has pledged aid – even Afghanistan – who barely has anything right now. If every leader who defaulted on their loans or didn’t pay taxes actually dug into their pockets, maybe the rest of the world wouldn’t be calling us selfish beggars. WTF#6: India offered aid to Pakistan when the floods began. What do our illustrious leaders do? They considered it. They refused to offer visas to 400 Indian doctors ready to come across the border and help flood victims. Even if Pakistan “accepted” the aid, why on earth did it take so long?! You might as well have taken that good will and thrown it out the window. The government and local clerics refused to shelter around 500 flood-affected families belonging to the Ahmadiya community in South Punjab’s relief camps. Not only that, the government also did not send relief goods to the flood-hit areas belonging to the Ahmadiya community, The Express Tribune has learnt during a visit to the devastated Punjab districts of Muzaffargarh, Dera Ghazi Khan and Rajanpur. Are you kidding me with this crap? Aid should be colorblind, because disasters are indiscriminate with who they impact. Your response, dear clerics (or whoever was behind this), should not be contingent on your prejudices. It should embrace every single family suffering because of this disaster. WTF. Following the end of President Barack Obama‘s speech on the new Afghanistan strategy Tuesday, the Washington Post‘s headline read, “‘Afghanistan Is Not Lost,’ Obama Says.” That title aptly summarizes the sentiment behind the president’s West Point address. 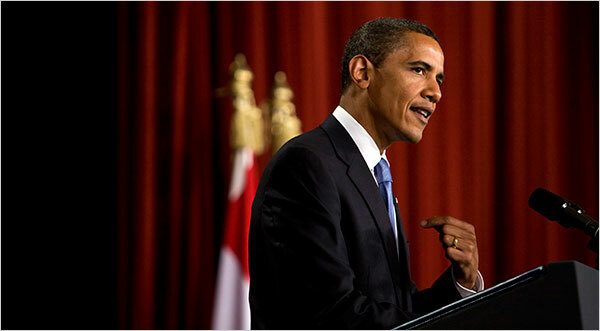 Prior to Obama’s announcement, news agencies had already disseminated the main points – the current status quo is not “sustainable” in Afghanistan, the U.S. will be escalating their presence by 30,000 troops by the first part of 2010, a withdrawal of these forces will begin in July 2011, and power will be transitioned to the Afghan government and the Afghan people in a “responsible” manner. On Tuesday evening, the president couched these points in heavy rhetoric, emphasizing why Al Qaeda continues to be a continuous threat to the United States and its Allies, and why Americans need to continue to invest in this war. Frankly, I did not expect much more from this speech, precisely because of what the president was trying to achieve. Obama was primarily addressing an audience of young cadets at West Point, many of whom will be deployed as a result of this new strategy. He told them, “I know that this decision asks even more of you as a military that, along with your families, has already borne the heaviest of all burdens.” Ultimately, the president on Tuesday was trying to assert his role as the American commander-in-chief, a figure capable of making the tough decisions, a person who, despite recent critics crowing to the contrary, does not “dither” on matters of national security and safety. We are in Afghanistan to prevent a cancer from once again spreading through that country. But this same cancer has also taken root in the border region of Pakistan. That is why we need a strategy that works on both sides of the border. In the past, there have been those in Pakistan who have argued that the struggle against extremism is not their fight… The Pakistani Army has waged an offensive in Swat and South Waziristan. And there is no doubt that the United States and Pakistan share a common enemy…Moving forward, we are committed to a partnership with Pakistan that is built on a foundation of mutual interests, mutual respect, and mutual trust. Ware also brought up the regional implications of the war in Afghanistan, calling it a “chess game,” with Saudi Arabia and Iran both playing hands in the area, and India and Pakistan using it as “yet another battlefield.” Reuters, in its coverage, noted, “Many analysts say Pakistan is reluctant to take on the Afghan Taliban as it might need them to counter Indian influence in Afghanistan in case of a U.S. pullout.” Understanding these broader regional issues are key to approaching this war, and particularly a linked Pakistan strategy. 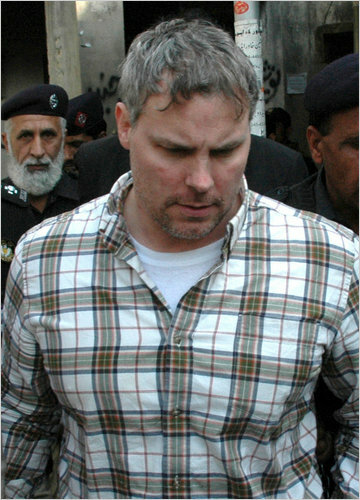 Given the increasing anti-American sentiment on the ground, a broadened U.S. presence in Pakistan will undoubtedly be met with rage/indignation/burning tires. And, if Islamabad (covertly) agrees to such terms, it will further cement the perception that we are not fighting “our” war but “America’s” war, a distinction with negative ramifications. Ultimately, as Washington continues to push this flawed “AfPak” strategy, the term “FakAp” increasingly seems more fitting, (credit for “FakAp” goes to @majorbuttretd on Twitter, who blogs over at Bostive Neuj). I have come here to seek a new beginning between the United States and Muslims around the world; one based upon mutual interest and mutual respect; and one based upon the truth that America and Islam are not exclusive, and need not be in competition. Instead, they overlap, and share common principles – principles of justice and progress; tolerance and the dignity of all human beings…There must be a sustained effort to listen to each other; to learn from each other; to respect one another; and to seek common ground. As the Holy Quran tells us, “Be conscious of God and speak always the truth.” That is what I will try to do – to speak the truth as best I can, humbled by the task before us, and firm in my belief that the interests we share as human beings are far more powerful than the forces that drive us apart. I also don’t want to, you know, load up too many expectations on this speech. After all, one speech is not going to transform very real policy differences and some very difficult issues surrounding the Middle East and the relationship between Islam and the west…And the question then is how do we now go forward with a honest, serious relationship based on mutual respect and mutual interest? 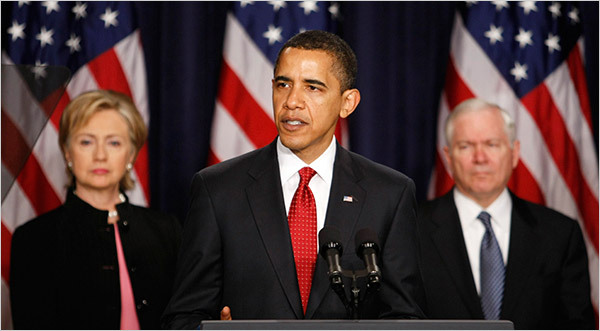 The question that now remains is, will Obama carry out the foreign policy objectives he outlined in Cairo? Will they turn into concrete initiatives? Will his order to close Guantanamo Bay actually occur? And, in terms of Pakistan, [since that is the focus of this blog], will the $1.5 billion in aid finally move past Capitol Hill in Washington to our country? While all of these questions are up for debate, I will say that I was inspired by Obama’s speech. His presidency represents an attempt to rebrand America in order to better its perceptions throughout the world, not just among Muslims. He also is redefining what it means to be an American – that a Muslim-American is just as American as anyone else. As he noted, “So let there be no doubt: Islam is a part of America. And I believe that America holds within her the truth that regardless of race, religion, or station in life, all of us share common aspirations – to live in peace and security; to get an education and to work with dignity; to love our families, our communities, and our God. These things we share. This is the hope of all humanity.” That point is important because it exemplifies a fundamental shift in the U.S. leadership that was not evident in the past eight years. What were your thoughts on the address? If you missed the speech, you can watch the video below, or read the full transcript here. All this led to the displacement of about a million Muslim elders, women and children from their villages and homes. They became refugees in tents after they were honored in their own homes…This basically means that Obama and his administration put new seeds of hatred and revenge against America. The number of these seeds is the same as the number of those victims and refugees in Swat and the tribal area in northern and southern Waziristan. The American people need to prepare to only gain what those seeds bring up. 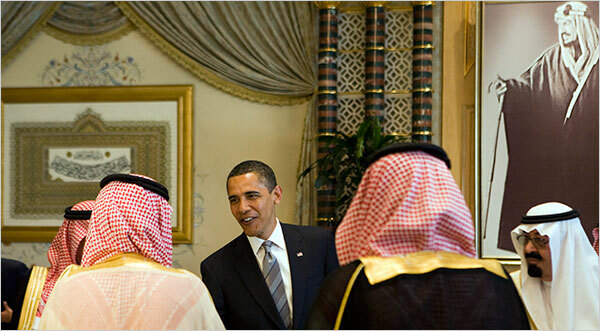 Obama, meanwhile, is in Saudi Arabia on the first leg of his Middle East & Europe tour. The Osama bin Laden message was therefore strategically timed to be released as the U.S. President arrived in the Middle East, a trip intended to address a resolution to the Arab-Israeli conflict and improve the image of the United States in the Muslim world. On Thursday, the U.S. President will address the relationship between the United States and the Islamic World in a speech at the University of Cairo, [it will air at 610 EST]. According to BBC News, Obama “will hope to break with the hostility of recent years and set a new tone designed not only to isolate the extremists of Al Qaeda and the Taliban, but to re-establish the understanding America gained on 9/11 and lost in Iraq. When President Obama addresses the Muslim world his words will be best understood by the people of Pakistan — literally, that is, because this is one of the largest English-speaking countries in the world. And today, with Pakistan being torn apart in a battle between the ideas of Western democracy and Islamic law, its people could use a few encouraging words from the American president, in the language the two nations share. Below, is an Associated Press report featuring further opinions from Muslims around the world. I’d like CHUP readers to weigh in on this question as well – As Obama prepares to deliver his speech to the Muslim World tomorrow, what would you like to hear him say?